I’m sitting at a coffee shop, but the person I was to be meeting—who I confirmed with not two hours ago—is no where to be seen. Traffic, he’ll say when he gets here. Or, traffic, he’ll apologize when he calls to say he won’t make it. Traffic is our big excuse in LA, covering a multitude of sins. Traffic for many of the development people I know tends to be meetings. As in, “sorry I didn’t get to it but I was stuck in meetings. “ No one ever explains what those meetings are in service of, nor, apparently, do they have anything to do with fundraising. They are the reason that fundraising can’t happen. Busy is another reason. No one ever says what it is that keeps them so occupied—but everyone is very busy. Contrarian that I am, I take pride in not being too busy—I generally can make a meeting, do the work I said I would do, follow up with those who need following up. If I sound annoyed, aggravated–oh heck, put upon—it’s because I am. I drove—in traffic!! !—for 40 minutes to get to this meeting. And now, 45 minutes past meeting time, I am still alone. And my appointment is not answering his cell phone. Another wasted two hours; two more hours that my client will not be happy pay for. Another client emailed me this morning, telling me that yes, indeed, he did get the email outlining our next steps, but….yep! he is too busy to read them over right now. The year that ended turned out to be financially disastrous, and so he is concentrating on plugging holes instead of focusing on the steps I’m suggesting to make this year a much more profitable one. Among those steps is a really simple one: Do not embark on anything before you consider what outcome you are hoping to have. Plugging holes may be urgent, but building a robust development program that will allow you to flourish and grow is urgent. And urgent is far more important. As you look back at the last year, and forward to this one, consider what you need to do differently. As you consider that, think about what you must keep doing, what you can stop doing, and what you must start doing. And what things—like traffic—you may have no control over. 1. What do I want to accomplish? Why am I doing this? 2. If I do this, is there something else that I must stop doing? Be realistic. There are only so many hours in each and every day! 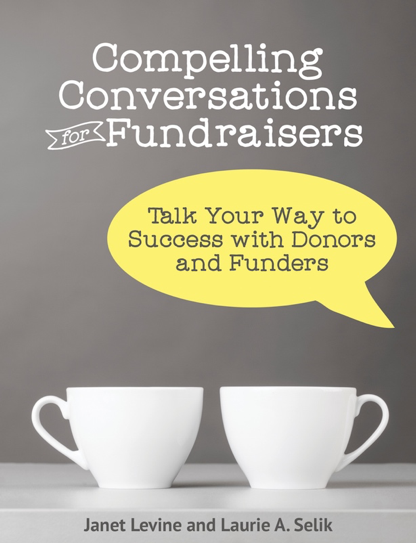 If you want to move from raising funds only by grants to a more individual donor base, that’s great (and, frankly, wise) but that will mean that you can no longer by yourself write 5 proposals a month! Or maybe you can, if you could stop being the person who deals with the lease, the leaks, the ordering of supplies or whatever other non-fund development related tasks you get saddled with. 3. In order to do this, what must I start doing that I am not already doing? Like—hey—calling people and getting appointments. Writing that case statement. Getting out of the office and meeting with people. 4. What must I continue to do? And I know—there are things you really don’t want to be doing—but hey, you have to. For example, I would really to stop writing proposals. They are time consuming. I want people to simply call and hire me. But guess what? That just isn’t going to happen. So if I want new clients, I have to continue writing proposals. In other words, stop getting stuck in traffic, or sidelined by unimportant meetings, and focus your time and your energies on what your job is really all about. This entry was posted in fundraising, productivity and tagged consistency, development, fundraising, Goal-setting, productivity, time management. Bookmark the permalink.